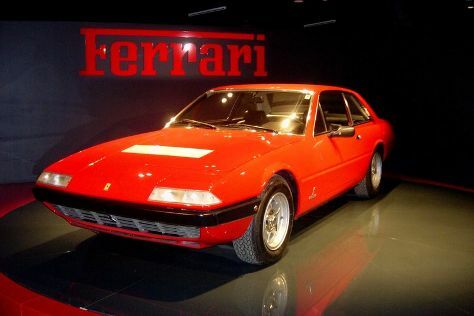 Kick off your visit on the 2nd (Thu): examine the collection at Museo Nazionale dell'Automobile, explore and take pictures at Juventus Stadium, then take in the exciting artwork at Reggia di Venaria Reale, and finally contemplate in the serene atmosphere at Santuario della Consolata. Keep things going the next day: take some stellar pictures from Basilica of Superga, make a trip to Piazza San Carlo, then admire the masterpieces at Egyptian Museum of Turin, and finally make a trip to Piazza Castello. For other places to visit, more things to do, where to stay, and more tourist information, go to the Turin trip planner. San Francisco, USA to Turin is an approximately 17-hour flight. You can also do a combination of flight and train; or do a combination of train and flight. The time zone difference moving from Pacific Standard Time (PST) to Central European Time (CET) is 9 hours. When traveling from San Francisco in May, plan for a bit cooler days and about the same nights in Turin: temperatures range from 64°F by day to 51°F at night. Wrap up your sightseeing on the 3rd (Fri) early enough to drive to Genoa. 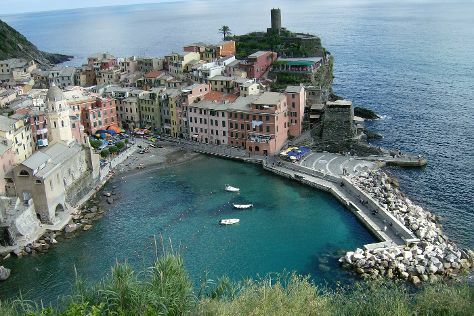 Step out of the city life by going to Footpath Monterosso - Vernazza and Baia del Silenzio. Galata Museo del Mare and Museo del Tesoro will appeal to museum buffs. Change things up with a short trip to Borgo Storico di Corniglia in Corniglia (about 1h 30 min away). There's still lots to do: wander the streets of Boccadasse, appreciate the extensive heritage of Passeggiata Anita Garibaldi a Nervi, take in panoramic vistas at Spianata Castelletto, and contemplate in the serene atmosphere at Cattedrale di San Lorenzo - Duomo di Genova. To see other places to visit, maps, reviews, and other tourist information, go to the Genoa sightseeing planner. You can drive from Turin to Genoa in 2 hours. Alternatively, you can take a train; or take a bus. Plan for somewhat warmer nights when traveling from Turin in May since evenings lows in Genoa dip to 58°F. Finish your sightseeing early on the 6th (Mon) to allow enough time to drive to Florence. Explore hidden gems such as Historic Centre of San Gimignano and Basilica San Miniato al Monte. Museum-lovers will appreciate Academy Of Florence Art Gallery and Uffizi Galleries. And it doesn't end there: contemplate the long history of Cathedral of Santa Maria del Fiore, get to know the fascinating history of Piazza del Duomo, don't miss a visit to Piazzale Michelangelo, and examine the collection at Pitti Palace. To see more things to do, maps, where to stay, and tourist information, use the Florence travel itinerary planner. Traveling by car from Genoa to Florence takes 2.5 hours. Alternatively, you can take a train; or take a bus. Expect a bit cooler evenings in Florence when traveling from Genoa in May, with lows around 52°F. Wrap up your sightseeing on the 9th (Thu) to allow time to take a train to Venice. You'll explore and learn at Doge's Palace and Peggy Guggenheim Collection. You'll explore the less-touristy side of things at Scrovegni Chapel and San Giorgio Maggiore. Take a break from Venice with a short trip to Basilica di Sant’Antonio in Padua, about 54 minutes away. Next up on the itinerary: don't miss a visit to St. Mark's Square, admire the masterpieces at Gallerie dell'Accademia, snap pictures at Ponte di Rialto, and wander the streets of Campo del Ghetto. Take the guesswork out of planning a Venice vacation by using our trip itinerary maker. Traveling by train from Florence to Venice takes 2.5 hours. Alternatively, you can drive; or take a bus. In May, daytime highs in Venice are 72°F, while nighttime lows are 55°F. Cap off your sightseeing on the 12th (Sun) early enough to go by car to Ascoli Piceno. Home to more than 200 towers during the Middle Ages, Ascoli Piceno has one of the most beautiful main plazas in Italy. Get outdoors at Grotte di Frasassi and Monte Vettore. You'll explore and learn at Museo della Carta e della Filigrana and Casa Leopardi. Change things up with these side-trips from Ascoli Piceno: Santuario Della Santa Casa (in Loreto), Pinacoteca A. Ricci - Polittici di Carlo e Vittorio Crivelli (in Monte san Martino) and Lungomare San Benedetto del Tronto (in San Benedetto Del Tronto). There's still lots to do: admire the verdant scenery at Piana di Castelluccio di Norcia and see the interesting displays at Museo del Pianoforte Storico e del Suono. To see photos, ratings, reviews, and more tourist information, you can read our Ascoli Piceno itinerary maker . Getting from Venice to Ascoli Piceno by car takes about 4.5 hours. Other options: take a train; or do a combination of flight and bus. Cap off your sightseeing on the 15th (Wed) early enough to go by car to Assisi. Start off your visit on the 16th (Thu): take in the spiritual surroundings of Cripta di San Francesco, examine the collection at Museo della Porziuncola, contemplate in the serene atmosphere at Basilica di Santa Maria degli Angeli - Porziuncola, pause for some serene contemplation at Basilica inferiore di San Francesco d'Assisi, then contemplate the long history of Basilica di Santa Chiara, and finally take in the spiritual surroundings of San Damiano. On the 17th (Fri), you'll have a packed day of sightseeing: contemplate in the serene atmosphere at Eremo delle Carceri, then explore the wealth of natural beauty at Parco Regionale di Colfiorito, then examine the collection at Mac - Museo Archeologico Di Colfiorito, and finally take in the architecture and atmosphere at Cattedrale di Santa Maria Assunta Spoleto. To find traveler tips, photos, ratings, and other tourist information, refer to the Assisi trip itinerary builder tool . You can drive from Ascoli Piceno to Assisi in 2.5 hours. Alternatively, you can take a bus; or do a combination of bus and train. In May in Assisi, expect temperatures between 72°F during the day and 52°F at night. Finish up your sightseeing early on the 17th (Fri) so you can go by car to Orvieto. 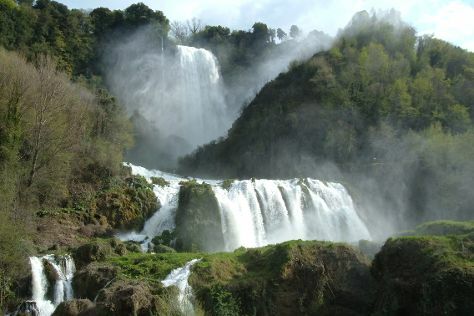 Explore hidden gems such as Cascate del Mulino and Cascata delle Marmore. You'll explore and learn at Giardino dei Tarocchi and Museo Civico Archeologico della Civilta Etrusca. You'll find plenty of places to visit near Orvieto: Chiesa di San Giorgio (in Montemerano), Chiesa di San Martino (in Tarquinia) and Civita di Bagnoregio (in Civita di Bagnoregio). There's still lots to do: contemplate the long history of Duomo di Orvieto, Head underground at Vie Cave, make a trip to Pozzo di San Patrizio, and appreciate the extensive heritage of Pitigliano Centro Storico. For ratings, more things to do, photos, and other tourist information, refer to the Orvieto day trip site . Traveling by car from Assisi to Orvieto takes 1.5 hours. Alternatively, you can take a train; or take a bus. May in Orvieto sees daily highs of 71°F and lows of 51°F at night. Finish up your sightseeing early on the 20th (Mon) so you can catch the train to Rome. Your cultural itinerary includes sights like Vatican Museums and Colosseum. Museum-lovers will get to explore Galleria Borghese and Musei Capitolini. Next up on the itinerary: steep yourself in history at St. Peter's Basilica, admire the local landmark of Trevi Fountain, take in the architecture and atmosphere at Santa Maria in Trastevere, and get to know the fascinating history of Piazza Navona. For more things to do, other places to visit, reviews, and other tourist information, read our Rome trip itinerary app . Traveling by train from Orvieto to Rome takes an hour. Alternatively, you can drive; or take a bus. Expect a bit warmer evenings in Rome when traveling from Orvieto in May, with lows around 58°F. Finish up your sightseeing early on the 23rd (Thu) so you can travel back home.